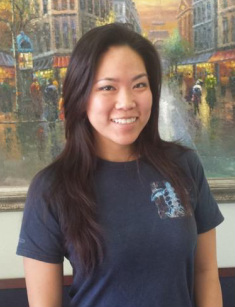 Dr. Ly is a Board Certified Chiropractor, licensed to practice in California. He has been servicing the greater San Jose, Campbell, Santa Clara, Sunnyvale, Saratoga and Cupertino areas for over a decade. He completed his pre-chiropractic education at the University of Manitoba, Canada before graduating from Life West Chiropractic in Hayward, where he received his Doctorate of Chiropractic Degree. Winnipeg, Canada is where Dr. Ly first encountered his love and passion for Chiropractic. It was his neighbourhood chiropractor that showed him the wonders of what a chiropratic adjustment can do for your health and vitality. Being an avid sports enthusiast and his experience as a personal trainer, Dr. Ly realized quickly, that active chiropractic care would play a significant role in his well-being. It is this profound knowledge that drives him to continue to help those individuals who have found no relief with traditional medicine. Whether you're looking for wellness, corrective care or have a personal injury. Dr. Ly's experience in musculoskeletal disorders has allowed him to successfully treat all types of conditions from disc herniation's, sciatica, neck pain, wrist, shoulder and knee pain to name a few. At his San Jose, chiropractic practice, he utilizes various techniques from diversified, gonstead, activator, drop table, decompression, flexion-distraction, soft tissue/myofascial release and active rehabilitation to help return a patient to regular activities with reduced treatment time. Dr. Ly is continually educating himself, attending seminars, learning the latest advances in health and wellness. He has lectured at the American Red Cross and on his spare time volunteers at local venues educating the community about common ailments such as shoulder, wrist and knee pain. Dr. Ly strives to educate his patients, making sure they understand What is wrong, Why it's wrong, and What they can do to fix it. He is happily married to his wife of 10 years and on his spare time loves to hit the gym and play basketball. He is described by his patients as caring, patient, thorough and is able to explain Chiropractic in a way that anyone can understand! 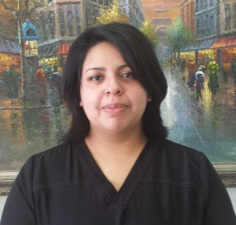 Sarah is one of our Certified Massage Therapists. She is our "soft and relaxing" therapist. She graduated from Everest College and is currently taking classes at Ohlone College for her Physical Therapy degree. In her spare time, Sarah dances and teaches hula.